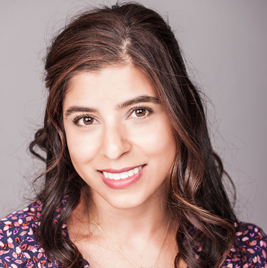 Roopika Malhotra began her career as a magazine editor in New York City, working on staff at Real Simple, Allure, and ELLE before becoming a freelance beauty, fitness, and health writer. She currently serves as the Editorial Director for FoamMagazine.com and is a regular contributor to Angeleno and C Magazine. A graduate of Boston College, Roopika also received a Masters degree in Journalism from the University of Westminster in London. When she's not writing, Roopika designs and creates handmade children’s accessories, and enjoys exploring Los Angeles with her 2 young daughters. Is that Kale in Your Skin Cream? Save the Bees, Save Your Hairline? Is Your Anti-Aging Cream Making You Look Older?